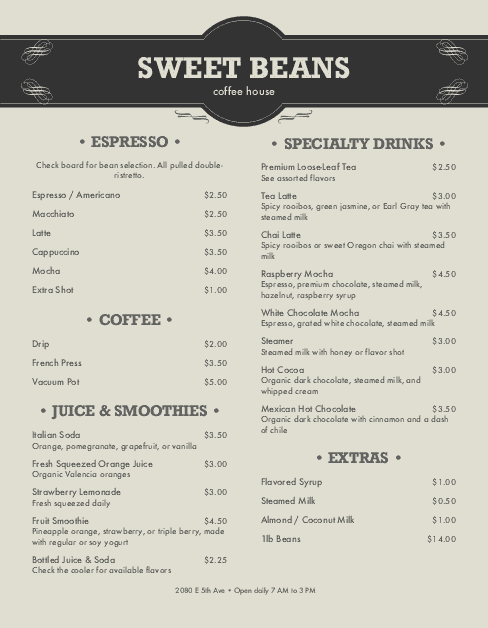 This coffee shop menu features an old fashioned look where the drinks are the stars. Sections for drinks, bakery items, coffee and tea surround the coffee house's name. 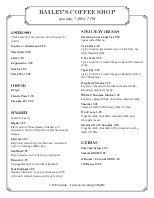 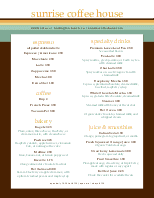 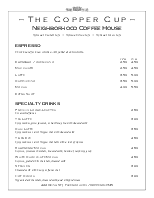 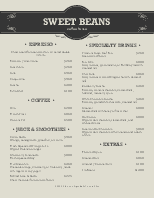 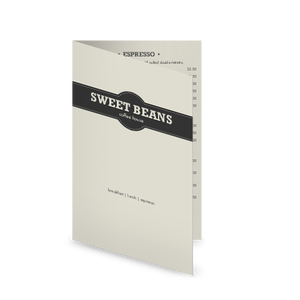 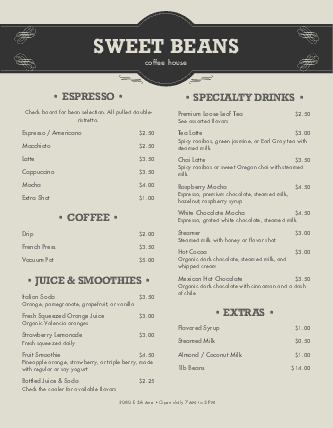 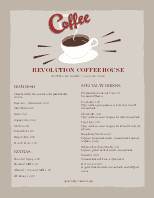 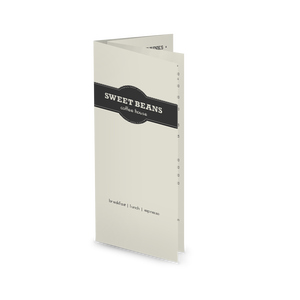 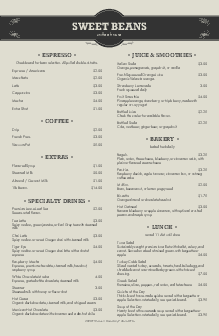 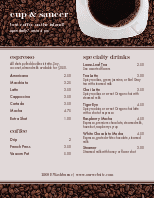 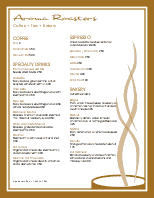 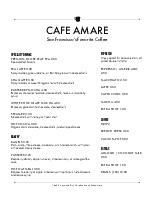 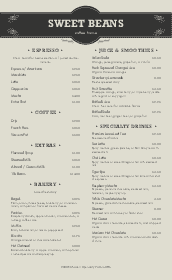 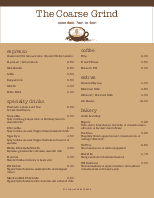 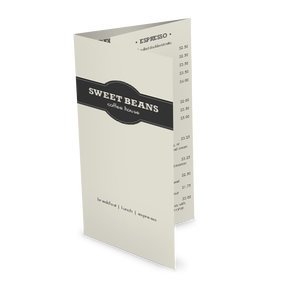 Use the online menu builder to create your customized coffeehouse menu.